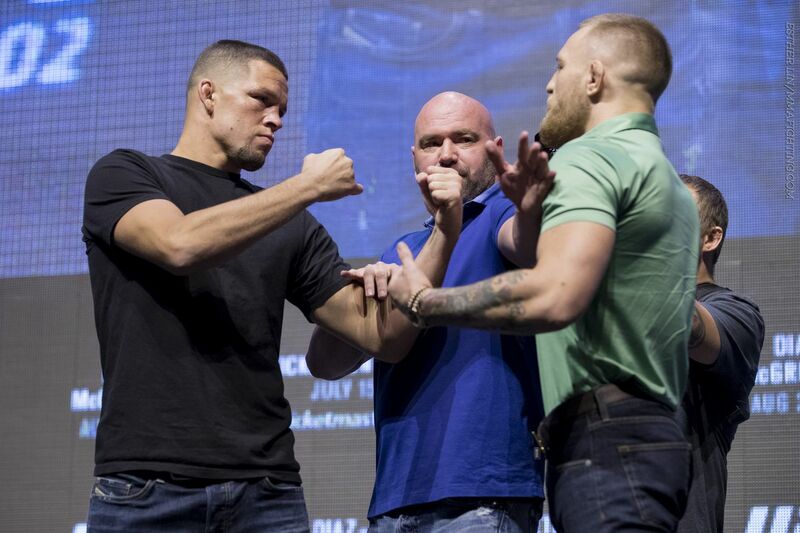 Nate Diaz thinks the UFC didn’t want him or his brother Nick at UFC 205 on Saturday. Diaz, Conor McGregor’s greatest rival, told ESPN in a video published Tuesday night that he believes the promotion intentionally tried to keep the two of them out of Madison Square Garden for the UFC’s first card in New York City. In Diaz’s estimation, the UFC didn’t want him stealing any shine from McGregor, who beat lightweight champion Eddie Alvarez in the main event to become the first UFC fighter to ever win titles in two different weight classes. Diaz and McGregor fought twice this year and are 1-1 against one another. A third fight has been brought up by both men, but UFC president Dana White has said it won’t happen, because it doesn’t make sense. “The UFC knows that’s a bad idea for him,” Diaz told ESPN’s Brett Okamoto. “Why didn’t I get tickets to this fight? I said, ‘I’ll leave him alone. I don’t want to fight the guy. Just let me get a seat.’ Me and my brother, they didn’t want to let either one of us in here. Of course, the Diaz brothers did make it in the door, sitting in a club box. Diaz said he texted White for tickets, but was told there was no room.